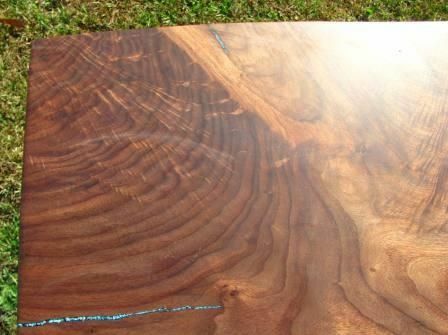 UP IN SMOKE—Funny thing about Walnut trees—they make nuts. These nuts were falling on a lady's barn roof, and so she had the massive tree cut down. Most of the tree had been cut up into FIREWOOD by the time our Woodgenius learned of the tree's plight. 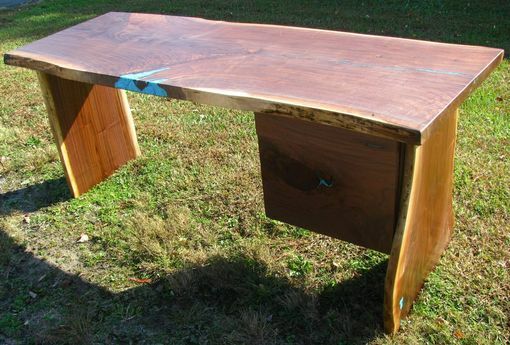 He was able to rescue part of the tree, and the result so far is this fabulous Desk! 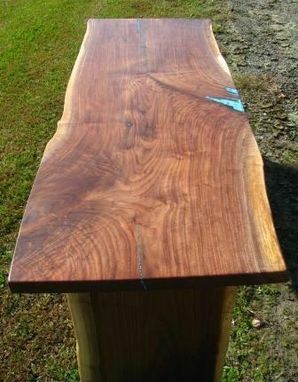 Black Walnut doesn't get any more amazing than this: Crotch figure, Curly Grain. 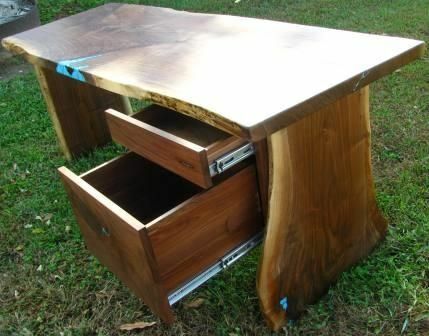 Our Woodgenius added generous Turquoise Inlay plus a File Drawer and Pencil Drawer. Only one available to ship now via white glove carrier. Please allow 3-5 weeks transit.